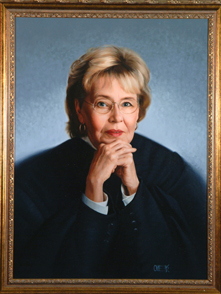 Justice Patricia Boyle was appointed to the Michigan Supreme Court in 1983 by Gov. James Blanchard (D). She was elected to the court in 1986 and re-elected in 1990. Her term ended in 1998. Justice Boyle earned her undergraduate and law degrees from Wayne State University. She served as Assistant United States Attorney and Director of Research Training and Appeals in the Wayne County Prosecutor’s Office before becoming a judge. She served as Judge in the Recorders Court in Detroit from 1976 to 1978. She was appointed to the United States District Court for the Eastern District of Michigan, where she served until her Michigan Supreme Court appointment.